For the elderly, osteoporosis is a deadly disease which leaves bones so brittle that even a small fall can result into a bone fracture. Every month, 1,150 die prematurely as a result of a hip fractures and half of patients do not regain their independence. At least 120,000 people a year suffer spinal fractures. However, now there is good news. Two drugs currently used to treat osteoporosis could produce better results if used in tandem, researchers say. Using a combination of the drugs, already available on the NHS, resulted in an increase in bone density of up to 5 per cent in just a year, they found. 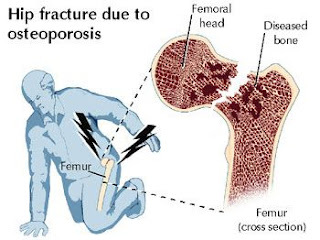 Most currently available osteoporosis drugs, including denosumab, stop the action of cells that break down bone during the normal process of bone formation. In contrast, teriparatide – also known as Forsteo – stimulates the creation of new bone.